Nefarious actors exploit millions of vulnerable, persistent IoT devices to create sophisticated malware-based DDoS botnets. These are then used to launch devastating attacks on companies of all sizes, across all industries. 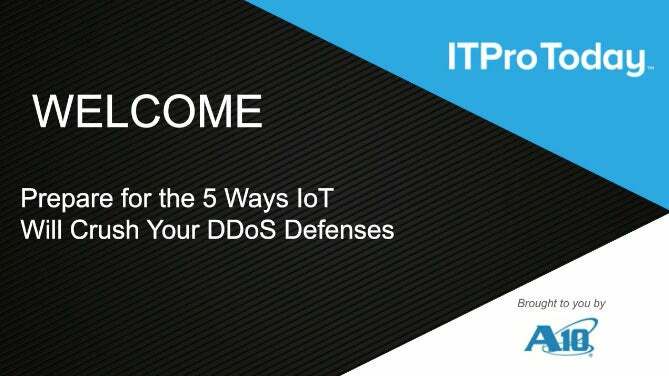 Legacy defenses can’t stand up to the scale, sophistication and breadth of these DDoS of Things assaults. Watch this webinar and learn more.